Centre-back Ollie was born in Gravesend, starting off with Rushden & Diamonds Centre of Excellence at an early age before joining the MK Dons youth scheme. At the end of his scholarship, he signed for Forest Green Rovers in the summer of 2009. After a season, and 23 appearances for Rovers, he was initially transferred to Newport County in May 2010, but moved on to join Kidderminster Harriers on 31 August 2010. He made just 9 appearances before arriving at Nene Park for a one month loan deal on 6 January 2011. He made his Diamonds debut in the 1-2 defeat at home to Altrincham two days later, but suffered an injury in his final game at Hayes & Yeading United on 18 January. With little chance of recovery before his loan period expired, he returned to Kidderminster Harriers for treatment. 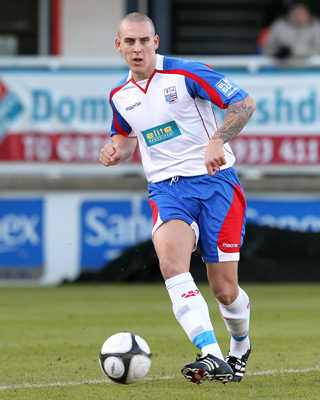 On 16 February 2011 however, his contract was cancelled by mutual consent, and he signed for Conference South side Braintree Town, helping them to promotion into the Conference. He left in the summer however, and joined Conference North side Corby Town on 7 June 2011 however, his stay was short lived and he was transferred to NPL Premier side Hednesford Town on 19 July but left after one month, signing for Southern League Premier side Bedford Town on 22 August 2011. After a single season at the Eyrie, he joined newly promoted Southern League Premier side St.Neots Town on 24 August 2012. Ollie left the Saints on 1 February 2013 after his contract was cancelled by mutual consent, and he joined rivals Arlesey Town the same day. On 22 May 2013, Ollie joined Southern Premier side Hemel Hempstead Town. On 23 September 2014, he went on a one month loan to Southern Premier side St.Neots Town, before making a move to Dunstable Town then Kettering Town during the 2015/16 season before returning to Hemel Hempstead. He planned to start the 2018/19 season with Bedford Town, but left due to business commitments.